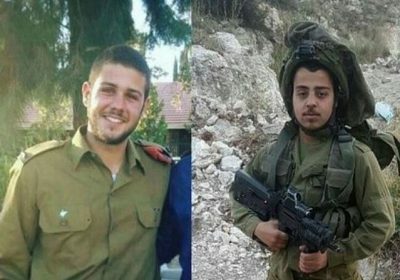 On Saturday at night, March 17, 2018, the Israeli army cleared for publication the names of the two soldiers who were killed in the northern part of the occupied West Bank, on Friday. The two have been identified as Lieutenant Ziv Daus, 21, from Azur town near Tel Aviv, and Sergeant Netanel Kahalani, 20, from Elyakim Moshav, in the Megiddo Regional Council, in the northern part of the country. Israeli Ynet News said Daus was a company commander of army’s “search and rescue” brigade, while Kahalani was a driver in the Menashe Brigade. 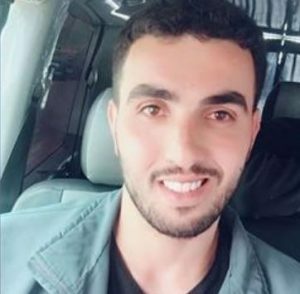 The soldiers were killed near Barta’a military roadblock, close to Jenin in northern West Bank, when a Palestinian driver, identified as Ala Rateb Kabaha, 26, crashed into it, and suffered light-to-moderate wounds, in addition to wounding two other soldiers. The Israeli army claimed that the fatal incident was a deliberate attack targeting the soldiers at the military roadblock, and raided the family home of the Palestinian driver, before violently searching the property and interrogating the family. On Saturday, the army announced it plans to recommend that the Israeli government split the village of Barta’a in two, and determined a series of collective punishment measures, including constant invasions, and isolating the village. Israeli Prime Minister, Benjamin Netanyahu, and several members of his cabinet, vowed to demolish the home of the Palestinian driver, while the Israeli Internal Security claimed that “all indications, and the interrogation of the driver, points towards a nationally motivated attack,” a term used to refer to incidents directly related to the ongoing Israeli military occupation of Palestine. Israel’s illegal policies of collective punishment, including demolishing the homes of Palestinians accused of killing Israelis, or wounding them, and even those accused of carrying out attacks, such as shootings and hurling Molotov cocktails at the military or colonialist settlers, has been widely implemented since Israel occupied the West Bank, including East Jerusalem, in 1967. The Israeli Committee against House Demolitions (ICAHD) has reported that Israeli demolished 351 homes and structures, and displaced 528 Palestinians in the year 2017, and added that the number of demolished structures in the occupied West Bank since 1967 is 78.743.